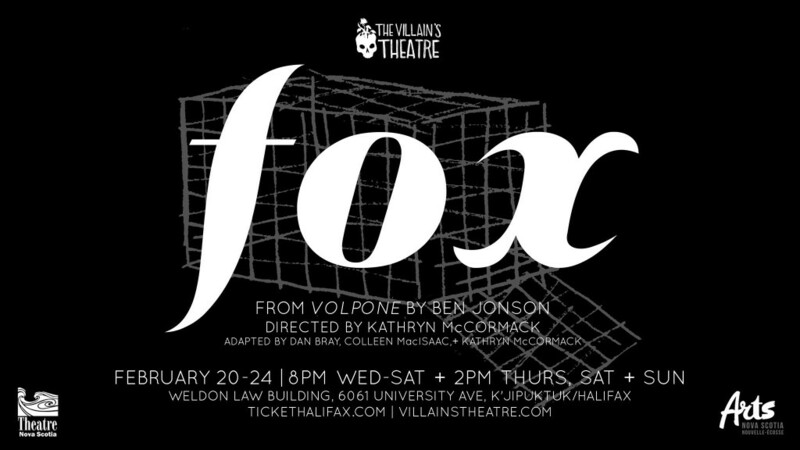 Tickets on sale now for FOX! The Villain’s Theatre presents a high-energy comedy about greed – cut through with a modern cry against misogyny. When a woman is put on trial for attempted murder, the people around her conspire and warp the truth to suit their own ends. A site-specific courtroom menagerie, Fox restores a voice that has been silenced for hundreds of years, refocusing the lens of an uproarious farce to remember the women who have been left in the dust. Tickets can also be purchased via e-transfer, or with cash or cheque brought to the APEX at 6068 Quinpool road if arranged in advance – email info@villainstheatre.com for more info. Tickets are $15/$25 in advance and $20/$35 at the door. Catch our earlybird sale for $10 tickets if you buy from Feb 4-7! Sale ends at midnight on Thursday Feb 7. The venue is wheelchair accessible, with access to both gendered and gender-neutral washrooms. This production is made possible thanks to our Websavers Web Hosting, Theatre Nova Scotia’s Partnership Program, and Arts Nova Scotia. Announcing the cast and crew of Fox! 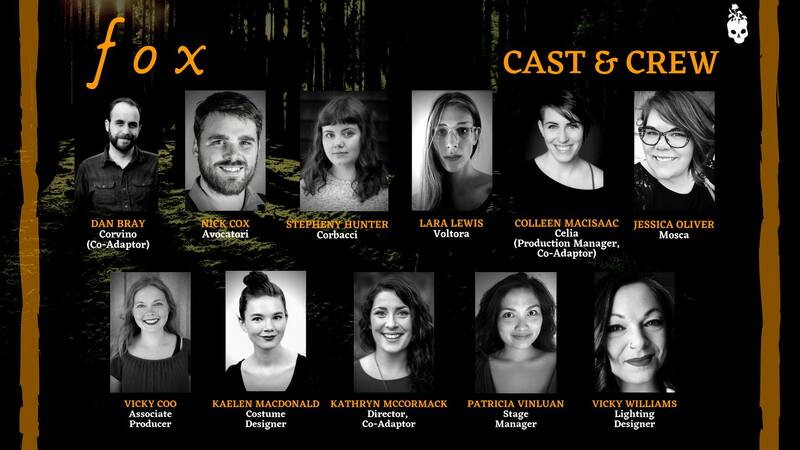 We are excited to announce the cast and crew of our upcoming show, FOX. This new adaptation of Ben Jonson’s Volpone transforms a classical comedy into a contemporary courtroom drama: Celia, a young woman unjustly put on trial, struggles to be heard amidst a society determined to silence her. Directed by Kathryn McCormack and brought to life by this fantastic team (with help from our wonderful season sponsor Websavers! ), FOX strives to remedy a centuries-old and all-too-contemporary injustice. FOX will run from February 20-24 at Dalhousie’s Weldon Law Building. Check back soon for information on tickets!